Exfoliation & masks is step two in our 5 step skin care routine. Even though we should only do this step once a week, it’s a very important and powerful step. Since our skin cells are constantly regenerating, dead skin cells sometimes build up on our face and body, causing our pores to clog. Exfoliators are mild abrasives that help remove the layer of dead skin cells, allowing the new skin cells underneath to benefit from the moisturizers and masks you apply. 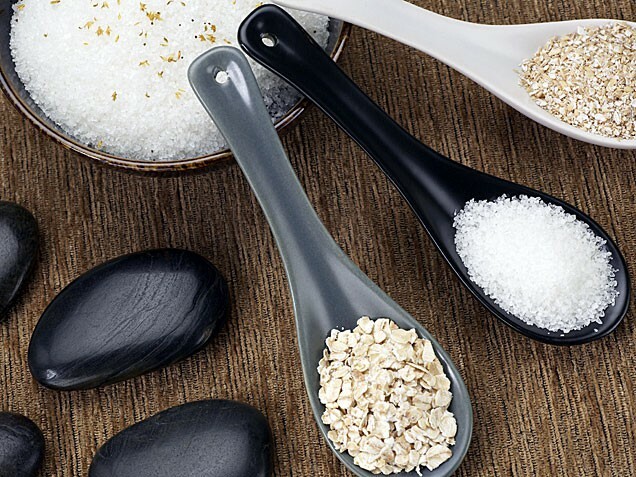 Sugar, salt, finely ground nuts, and grains can all be used as natural exfoliators. You should always use a gentle touch when exfoliating, it should never feel painful. If you have any acne, inflammation, or a sunburn, you should never use an abrasive scrub on your skin. This will irritate your blemishes, cause more breakouts and bruising. You also want to avoid the delicate eye area. Before purchasing a scrub, test it by squeezing a small amount of it and rub it into your hand with light pressure. Is it too rough? Remember, this is going on your face. A body scrub can be a little more abrasive, but again, you don’t what to irritate your skin. There are many different types of masks. Clay is the most common. Masks are great not only because they remove the dirt and grime that’s deeply embedded in our skin, but also because they sit on your freshly exfoliated skin and infuse your skin with vitamins, minerals, and moisture. 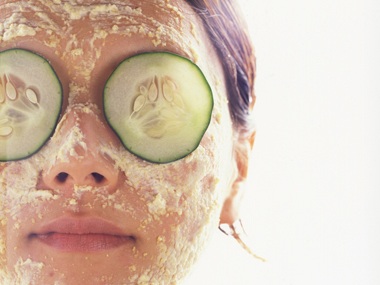 You can make masks from almost anything… fruits and veggies, honey, eggs, oatmeal, even yogurt. 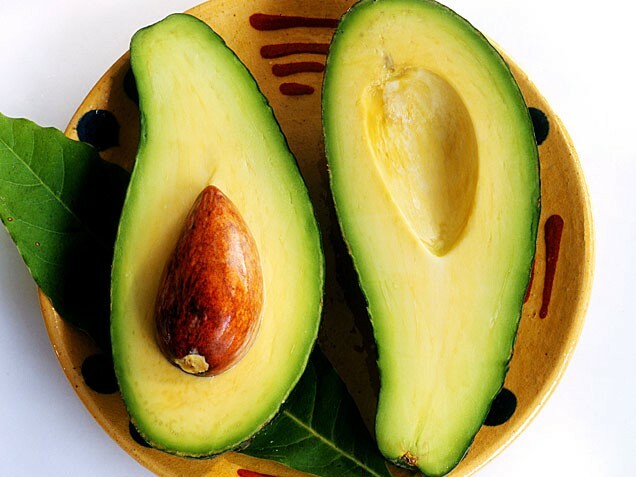 Your skin will soak in all the good stuff these ingredients have to offer. Masks usually sit on your face for 10-15 minutes, then are removed with a warm wet cloth. I’ll introduce you to my favorite homemade scrubs and masks in my next few posts. What are your favorite DIY scrubs and masks?